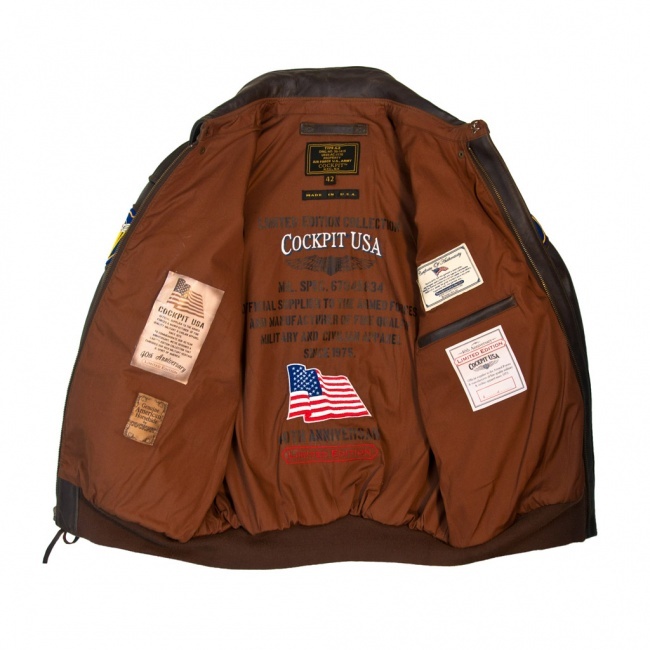 The Limited Edition 40th Anniversary Red Raiders A-2 Jacket is a replication of the jacket worn by the pilot of the Consolidated B-24 Liberator bearing the name "Red Raiders". The felt applique embroidered chest patches are of the 2nd Bombardment Squadron, World War II. 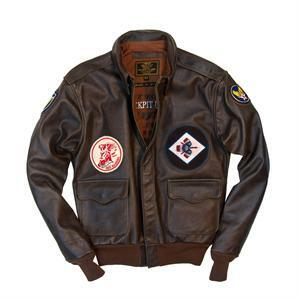 It features enduring horsehide leather construction, snap down collar with "Hook and Eye" closure, and two front flap snap closure pockets. 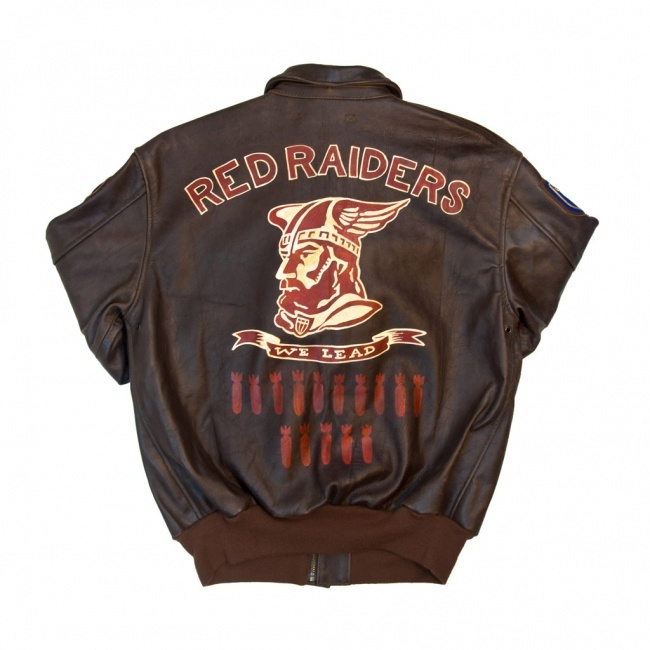 The Red Raiders A-2 Jacket comes with 40th Anniversary Limited Edition silk screened and embroidered russet cotton poplin lining.